Flexible PVC pipe is slowly replacing traditional pipe materials because of its versatility, affordability and its excellent track record. This is why PVC is great material for pipe fittings; it’s a safe, non-toxic and valuable resource. 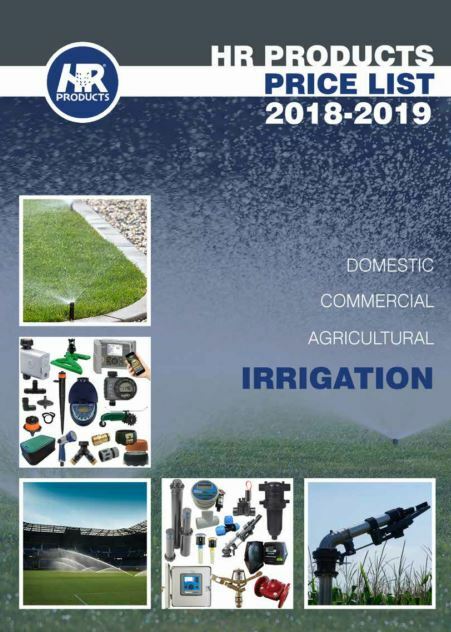 HR Products stocks a complete range of irrigation, poly pipe and PVC pipe fittings suitable for use above or below ground, in varying operating pressures and temperatures. Browse our extensive range and contact us today. Our friendly team is more than happy to help you. Our irrigation, poly pipe and PVC fittings are strong, lightweight, and compact. They are available in a variety of thread combinations and connections and are an important role in the performance and control of the fluid delivery and flow within a pipe system. We distribute PVC and poly pipe fittings from leading brands, which have built a reputation for providing high performance, being easy to use, innovative and simple products that provide customers with the ‘best-installed value’ and warranty guarantees. We stock Hansen, KBI, Tavlit, Antelco, and Alprene compression fittings. So if you’re looking for some of our leading brands like Dura fittings or George Fischer pipe fittings, our team will provide expert advice. Contact the friendly team at HR Products today to get more information about the features and benefits of our full range of fittings and connectors. 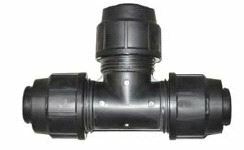 Used on low pressure connection for domestic irrigation systems from pop-up to micro spray. Used fro connection of Metric Poly Pipe ( normally has a blue stripe) on mains or high water pressure pipelines. Used for connection between two PVC pressure pipes. Used for connection to rural pipe in farm or lower pressure sites. Used for connection of two BSP threaded pipe or fitting.